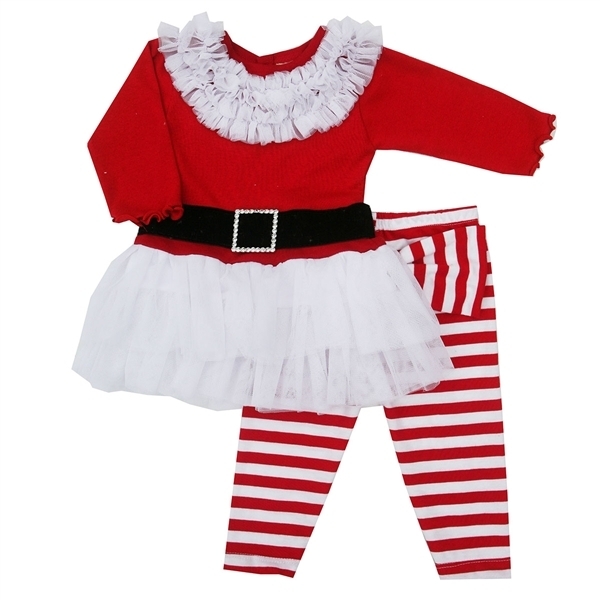 This darling 2pc Christmas outfit by Haute Baby The set consist of red long sleeves tunic with white tulle netting ruffle bottom, ruffle neckline and black attached velvet belt with a buckle trim. Red and white striped leggings perfectly match the top. Perfect for Holiday pictures.